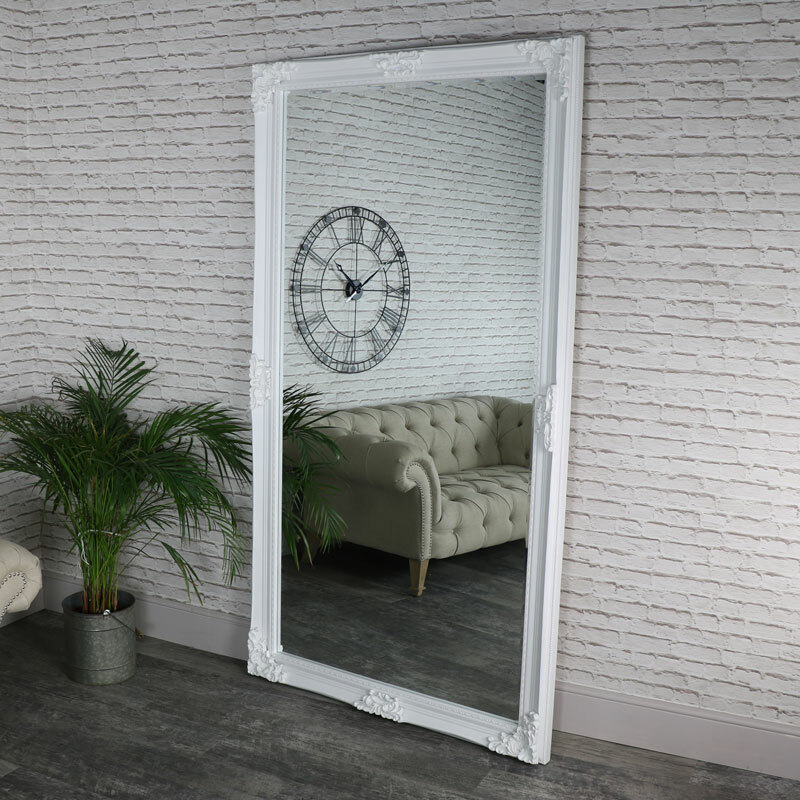 We have a fabulous range of wall and floor mirrors that are simply exquisite in design. Mirrors are a great way of creating the appearance of light and space in a room whilst adding a dramatic statement. 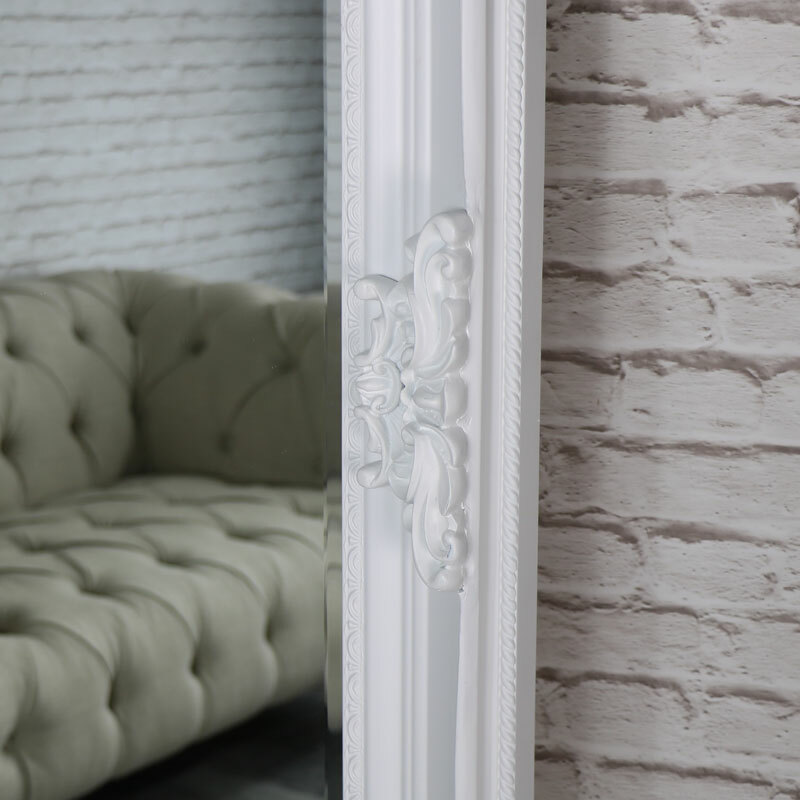 Our extra, extra large ornate white mirror is truly beautiful. Whether you choose to have your mirror wall mounted or leant against a wall, this will certainly make a grand statement. 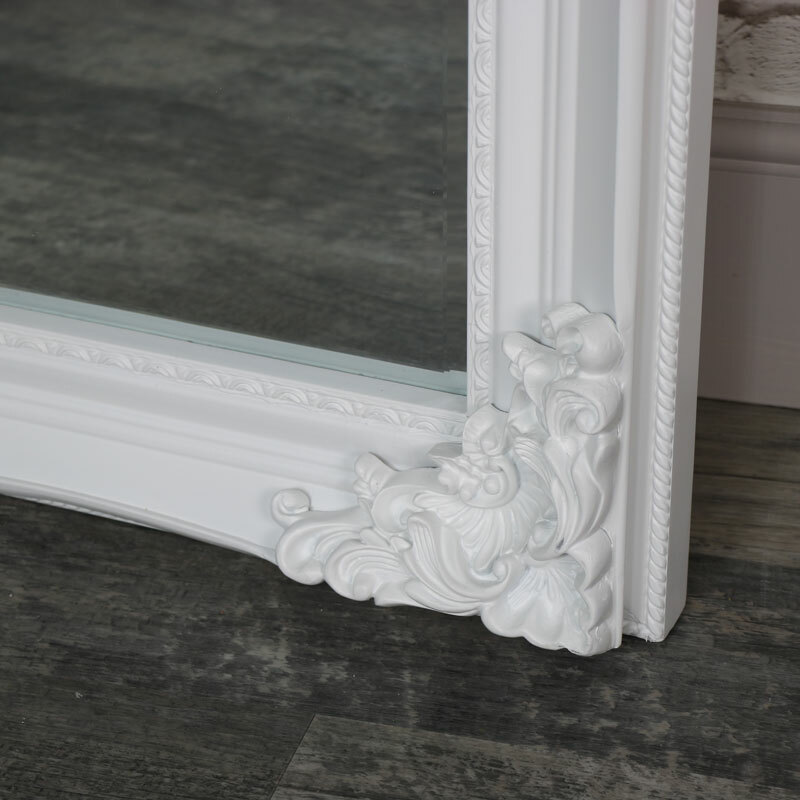 Ornate carved detailing surrounding the frame with a large, bevelled mirrored surface. This will suit an elegant living room, grand hallway, chic bedroom or an opulent dressing room. Polyresin surround frame, ornately detailed in a white painted finish with a mirrored surface that measures 100cm x 200cm. The mirror weighs 36.5kg and can be hung horizontally or vertically with fixings on the back for wall mounting.